From August 30th to September 30th, get The Adventure Pals and other great games free with your Twitch Prime membership! Let’s face it… the only thing better than riding around on your magical backpack giraffe or rescuing your dear-old-dad from a megalomaniacal hotdog-obsessed evil genius is getting free games. Luckily for you, thanks to Twitch Prime, you get both! From August 30th to September 30th 2018, Massive Monster’s indie platforming adventure The Adventure Pals is completely free to pick up with your Twitch Prime membership. Just claim the game during the promotional period, and it’s yours to keep! No take-backs! If you’re an Amazon Prime member, you’re also already a member of Twitch Prime, which is a pretty sweet fruit if you ask us. 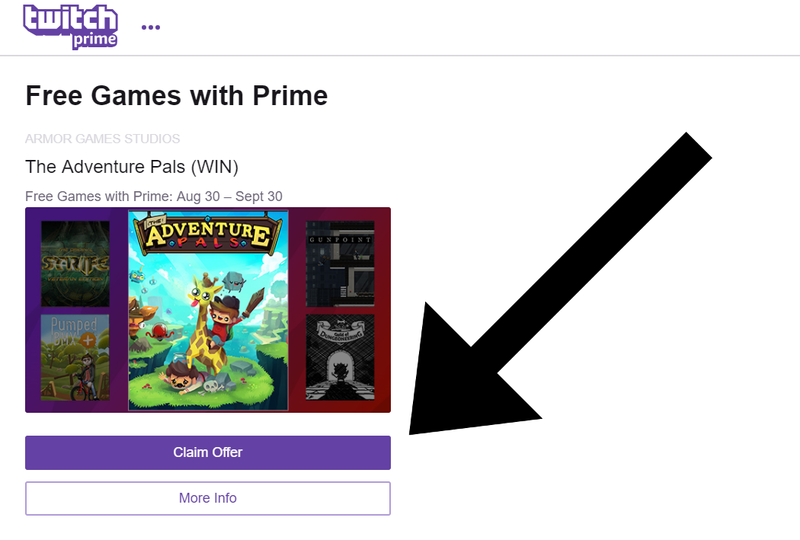 To learn more about Twitch Prime and its benefits, check out this article. If you’re already a member, just visit https://www.twitch.tv/prime and hit “claim offer”. That’s it! Also in the lineup this month are Gunpoint, Guild of Dungeoneering, Strife: Veteran Edition, and Pumped BMX +. Don’t miss your chance to nab these great games as part of your Twitch Prime benefits! So toss on your trusty baseball cap, wait for your pet rock to catch up (his legs are so small), and hop aboard Sparkles, the giraffe with the helicopter tongue, and save the world! Get The Adventure Pals free with Twitch Prime today! Twitch Prime and the Twitch Prime logo are trademarks of Twitch Interactive, Inc. or its affiliates. The Adventure Pals is an upcoming platforming RPG adventure from Massive Monster about friendship, giraffes, and hot dogs, coming in 2018 for desktop and consoles. Out now for Nintendo Switch, PlayStation 4, Xbox One and PC, The Adventure Pals is a joyous platforming adventure about friendships and hotdogs from Massive Monster.